In 2003 Fox Home video began its white-cover Studio Classics line, a series of DVDs that ran for four years and over forty releases. Disc number one was 1950's All About Eve. Now Eve has arrived in Blu-ray with additional special limited edition extras. We can only hope that Fox will continue putting out its prized vintage titles in the high-def format. A favorite drama-fest, Bette Davis vehicle and security blanket for people in love with the theater, All About Eve is a genuine classic. Writer-director Joseph Mankiewicz's considerable talent is here for all to enjoy, especially his elaborate and overwritten witticisms that serve well as the language of high-toned stage folk. There are at least six great roles here, with several actors doing the best work of their careers. Mankiewicz's story has entered the halls of Hollywood myth: With a sad story and sweet manners, stagestruck Broadway fan Eve Harrington (Anne Baxter) charms and insinuates her way into the company of famous star Margo Channing (Bette Davis). Equally impressed are Margo's fiancé, director Bill Sampson (Gary Merrill); her playwright, Lloyd Richards (Hugh Marlowe); and Lloyd's wife Karen (Celeste Holm). Becoming Margo's personal aide, Eve's dedication borders on the sinister, a fact first noticed by Margo's maid Birdie Coonan (Thelma Ritter). But when Eve moves in on Margo's career as well as the men in her life, only critic and fellow schemer Addison DeWitt (George Sanders) really knows what the 'innocent' Eve is up to. 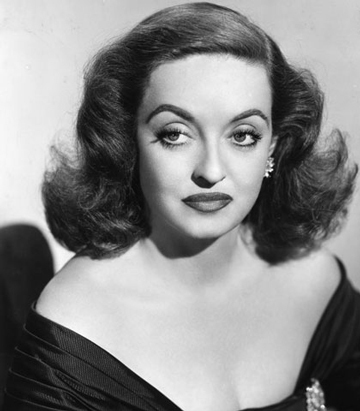 As well directed as it is, All About Eve remains a writer's picture. It begins like a drippy soap about personal sacrifice and the stage and then quickly opens into a fuller portrait of Broadway life. Aging star Margo Channing has doubts about her attractiveness -- do her friends and fiancé love her, or the bigger-than-life persona she acts on and off-stage? The writers and directors are concerned about simply making a living and worry if working in Hollywood will compromise their talent. Their get-togethers turn into 'scenes,' and their fondness for cynicism is matched by an ironic susceptibility to phonies who talk a good line. Machiavellian critic Addison DeWitt agitates the situation, friendless but always in fine company. The organized and devoted Eve Harrington turns out to be a master games-player, worming her way into the good graces of the Broadway clique and eventually clawing a path upward by deceitful means. She's a type everyone has met, the usurper who exploits a personal relationship, or who bags a plum assignment by intimidating key people. Eve manages to charm Margo's best friend Karen into both an introduction and a job. When Eve's devotion raises Margo's suspicions, Karen takes up 'the kid's' defense. In the confusion, Eve is able to separate Karen from her better judgment, Margo from her fiancé and her high roost, and secure her own perch as a sensational stage discovery. There are many stories about killers like Eve Harrington, but few as sophisticated. Nailing down Eve's exact crime isn't so easy, as on the surface she merely allow others to help her. Eve's basic deceit is to manipulate her associates to line up a short cut to success. That's certainly how business works. In Horatio Alger terms, Eve's ambition generally meets with approval. Only Birdie Coonan becomes suspicious of the liberties Eve takes with her intimacy with Margo. As soon as she sees an opening, Eve is in like a shark. And before she can be stopped, she finds the opportunity she's been waiting for. Perhaps the biggest contribution of All About Eve is that it codified the behaviors and practices of the theatrical version of the "killer." A friend who went to New York to be a costumer in the late 1980s told me that she found utter ruthlessness and the using of others to be the norm. When I hear the same intrigues repeated among kids backstage at High School plays, maybe the truth is that it has always been there. Realistically speaking, Eve is herself victimized by the bigger fish DeWitt, who knows her through and through and proposes a 'dangerous liaison' between them as a price for his support. Cynics need love too, it seems. One wonders if this is how Adolf Hitler got started. The actors reading Mankeiwicz's smart dialogue all come off like champs. This is perhaps Bette Davis' best late-career performance, and she proves that her acting instincts are far stronger than her vanity. The role admits she's no spring chicken, and although Margo has the powerhouse part and the biggest scenes, she bows out before the final scene. No rewrites were imposed to keep Margo at the center of attention, as Joan Crawford would have mandated. Anne Baxter is icily 'warm' as Eve Harrington, and works up a nice Margo Channing-like hauteur for her third-act heights of hubris. But the play remains paramount. Mankiewicz reserves the fadeout for a nearly anonymous Next Girl in line, Phoebe. 2 Played by Barbara Bates, Phoebe is yet another barracuda waiting to backstab the star as soon as she lets down her guard. Celeste Holm carries the show's central intrigue well, especially in those scenes where she realizes she's been compromised by her own sentimental instincts. Likewise, George Sanders puts several levels of disguise into his acerbic critic. Deeper than the simply misanthropic Waldo Lydecker of Laura, Addison DeWitt is driven by his own intellectual distance from the rest of humanity. DeWitt recognizes and applauds Eve's superior gamesmanship because he's rationalized all relationships into a cynical Darwinism. One gets the feeling that Addison DeWitt and Hannibal Lecter could carry on a perfectly sincere conversation. The thankless roles are those given the supposed leading men, Gary Merrill and Hugh Marlowe. Merrill is better than okay but not as dynamic as a director should be. This is Marlowe's most charming and sensitively played screen part, and the only one Savant's seen where he truly shines. He's effectively Nixon-like in Day the Earth Stood Still, but his parts in things like Night and the City and Garden of Evil don't attest to any particular versatility. Positively shining are Thelma Ritter and Marilyn Monroe. Ritter can be caustic and sentimental at the same time. She augments her handful of great lines with an equal number of priceless telling looks. Monroe nails her glorified bit, which fits into the show even more smoothly than her other standout in the same year's Asphalt Jungle. Savant hadn't seen the film for almost 30 years, but remembered very well the perfect ensemble on Margo Channing's staircase, with Monroe sitting like a bon-bon on the bottom step. She would soon explode into the phenomenon of the decade, eclipsing the notables around her. All About Eve sparkles with that kind of magic. Fox's Blu-ray of All About Eve benefits mightily from the extra resolution and improved contrast -- the acting of the principals can be studied even in wide shots, and the added detail lets us see when actors are replaced by doubles in second-unit work. The movie is more of a pleasure to watch than ever, and seems much shorter than it actually is. Alfred Newman's score mixes bombast with a few sinister notes lifted from the funeral theme of his Leave Her to Heaven, suggesting the evil lurking in the avaricious female heart. Milton Krasner's B&W lensing looks great, even in a pitiful rear-projection shot of Baxter and Sanders walking down a sidewalk. It is so poorly coordinated, the actors look as if they're roller skating. The original special edition DVD's extras have been retained. A somewhat superficial AMC Backstory piece will be good enough for viewers not yet familiar with the film. Two Informative commentaries are repeated, one with Celeste Holm, Christopher Mankiewicz and author Kenneth Geist, and another with author Sam Staggs. Also four newsreel excerpts, vintage promotional interviews with Davis and Baxter, and a trailer. The disc packaging is a Warners- like book with bios of the film's stars and photos -- the disc holder is simply a cardboard slot, not a plastic hub. It looks secure enough to me. Fans will also like the materials newly created for this edition: an isolated Alfred Newman score track and four new featurettes. The first two pieces divide discussions about writer-director Joseph L. Mankiewicz into his career and his personal life. A third covers "The Real Eve", the uncredited magazine article about actress Elisabeth Bergner that was the basis for Mankiewicz's screenplay. And a fourth lets us know that there is indeed a real Sarah Siddons award for theatrical excellence. Fox has yet to bring out many vintage titles in Blu-ray -- there's The Day The Earth Stood Still and this month's An Affair to Remember. Hopefully they'll continue in the same vein. And while we're here, what ever happened to the Linda Darnell -Cornell Wilde Technicolor epic Forever Amber? That's never even been released on DVD, and it has a terrific music score by David Raksin. Packaging: Book packaging with 20-page souvenir booklet. 1. Well, maybe on Broadway. In Hollywood, getting a career in motion often has nothing to do with acting talent. How many actors have we seen riding on looks or a relationship in their early careers, gumming up movies with one wretched performance after another? After years of working many find their footing and learn their craft. Maybe the Eves are right, that if you want something in the world, you have to go out and grab it from other people. Less clear in the film is Eve's exact relationship with Addison DeWitt, who clearly is infatuated with her and willing to use his column to sing her praises. If Eve seduces DeWitt we don't see it; the film lets us think that he's a closet admirer of both her talent and her skilled interpersonal manipulations. Eve benefits from DeWitt's attention, until he closes the trap. 2. 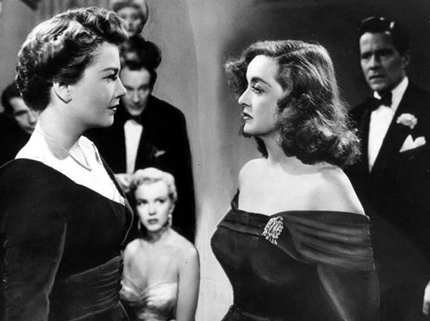 This is in line with Mankiewicz giving a lower eschelon cast member in The Barefoot Contessa the film's plum line: "What she hasn't got, ..." In All About Eve Phoebe is the last female face on screen, lending the final image an unusually sinister quality.